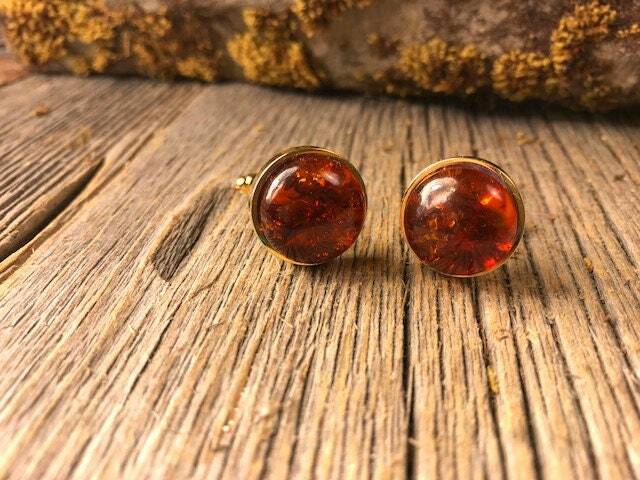 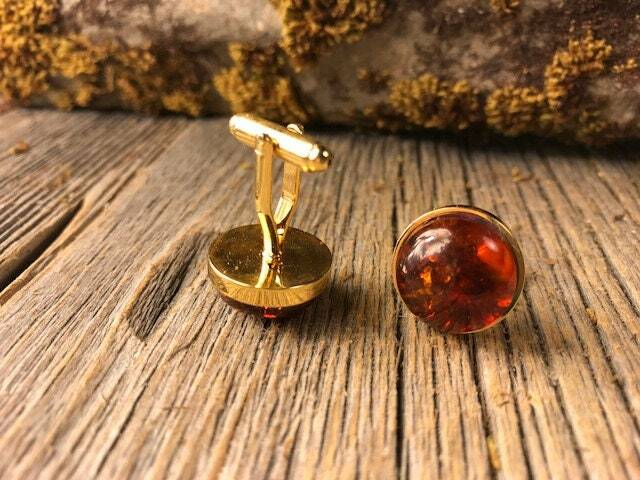 This simple and unique Cufflink Set features a gorgeous cabochon cut of Baltic Amber, precisely set into high-quality square French cufflink in either, silver, gold or gunmetal black. 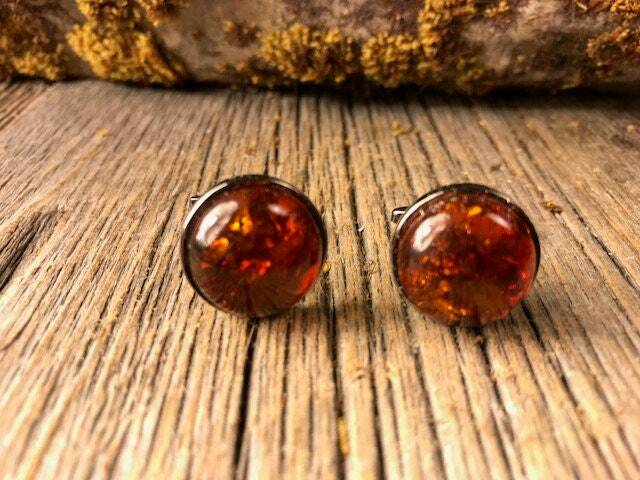 The hand-shaped Amber blanks are cut from the same stock, to guarantee the same color and amount of inclusion, not artificially created in a Lab. 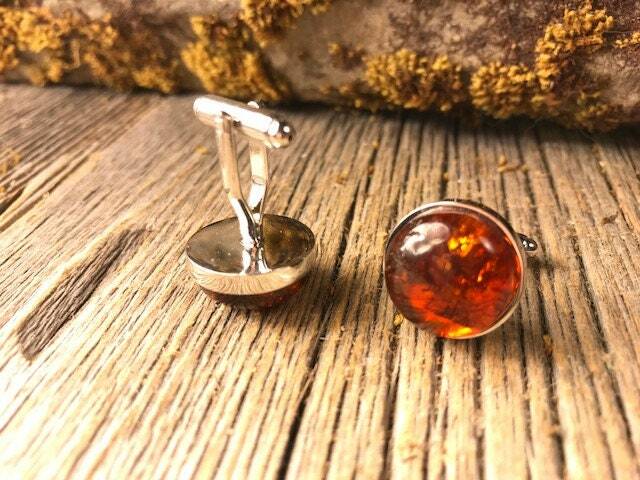 -	Each piece is then individually handshaped ,honed and buffed to high gloss and perfection. 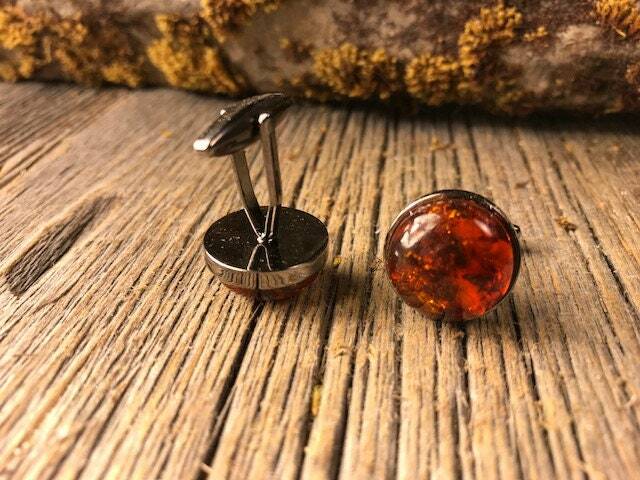 Every piece is unique in color and inclusions and boasts a beauty that only natiurally harvested Baltic Amber can achieve. 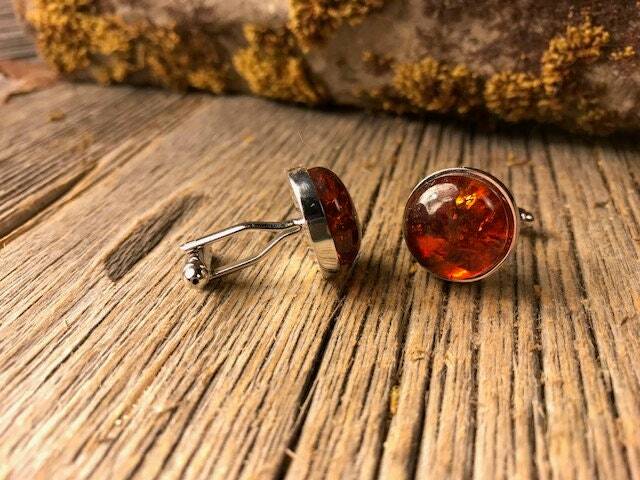 Each stone is handselected by myself and manufactured from there on. 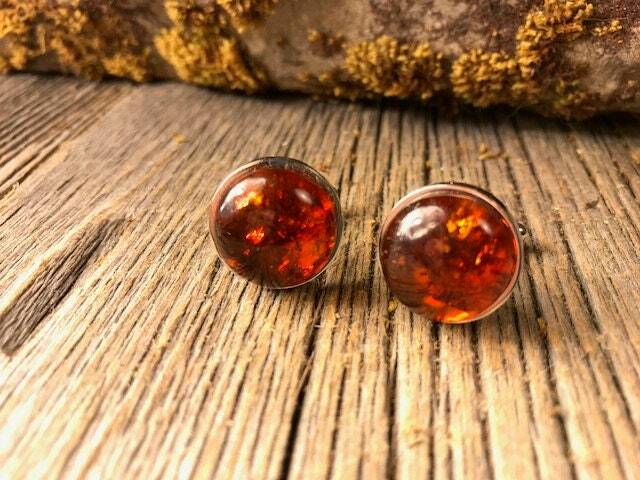 unbelieveable color/shine variations, just like mother of pearl and abalone, Amber must be seen in reality to appreciate it's beauty.